While I do agree that ISTQB has it’s downsides, I do not think it was made in a vicious intention but with the intention of improving test knowledge. The facts that more & more companies see this as a filtering mechanism, instead of as a basic knowledge step, and that some teach it as means to pass an exam instead of means to learn good testing practice basics – Are the issues we need to fight. After all, the ISTQB foundation course content is not far from the testing courses we had during the early 90’s – and these did serve as very good basis for newcomers. ISTQB is also helping in clearing the “Babylon tower” condition we had and unfortunately still have, when each professional has a different name for common testing terms, with many using contradicting or confusing terms. I do think a common world-wide dictionary is highly valuable for clear communication, and as basis for discussions. 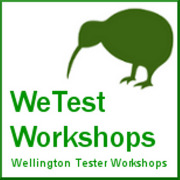 I think most of us agree that a basic testing course is a must for every tester, and that just what the foundation level is there to achieve. Maybe more emphasis should be given to the fact that these are the basics and should not be taken for granted, but that users should further learn and discuss the topics, in a context-driven approach. I’d rather have the foundation course as the “standard” rather than no training in testing what so ever – which is quite common in many organizations. I think instead of claiming ISTQB is evil – which is the easiest way but hardly any useful, we should put an effort on thinking how can we improve it, to suit our needs. @Kobi – “The facts that more & more companies see this as a filtering mechanism, instead of as a basic knowledge step, and that some teach it as means to pass an exam instead of means to learn good testing practice basics – Are the issues we need to fight.” – I agree. It is an insidious fact that companies are using ISTQB as a filtering mechanism driven ill informed HR people or managers. I think it is ok to say that it is a very basic knowledge step but as you point out, it is dangerous when taught as a means to pass an exam. This devalues the craft of learning and teaching testing. “After all, the ISTQB foundation course content is not far from the testing courses we had during the early 90′s – and these did serve as very good basis for newcomers.” – Really? Just because these were around in the 90’s doesn’t make it any more *right*. In fact , the best courses I’ve been were not aligned to any particular syllabus. ISTQB is also helping in clearing the “Babylon tower” condition we had and unfortunately still have, when each professional has a different name for common testing terms, with many using contradicting or confusing terms.” – What if i don’t agree with the terms purported by ISTQB? Who says that they are the governing body? What makes them the judge of all terms? At KWST this year, we coined the term possum testing which is testing you don’t value motivated on some level by fear. Now that won’t appear in the ISTQB glossary BUT amongst the 17 NZ testing leaders, that term is thoughtful. “Maybe more emphasis should be given to the fact that these are the basics and should not be taken for granted, but that users should further learn and discuss the topics, in a context-driven approach.” – Agreed – however, you will find that those of us that belong to the context driven testing community will openly discuss what constitutes *the basics*. The ISTQB syllabus is heavy on standards, processes and tradition yet does very little to address agile or exploratory approaches. In our community, we would see more on scientific method, questioning, empirical observation as opposed to – this is a v-model or this is static testing. The former are necessary testing skills – the latter, theory. “I’d rather have the foundation course as the “standard” rather than no training in testing what so ever – which is quite common in many organizations.” – Whose standard? Yours? Mine? Having standard promotes the idea that we are involved in a manufacturing type environment. We are not – each and very project is unique and requires the appropriate tools at the appropriate time. For me, James Bach and Michael Bolton’s rapid software testing was a far more beneficial course (foundation and advanced) than the ISTQB foundations course was. “I think instead of claiming ISTQB is evil – which is the easiest way but hardly any useful, we should put an effort on thinking how can we improve it, to suit our needs.” – Great! What do you have in mind?